1. 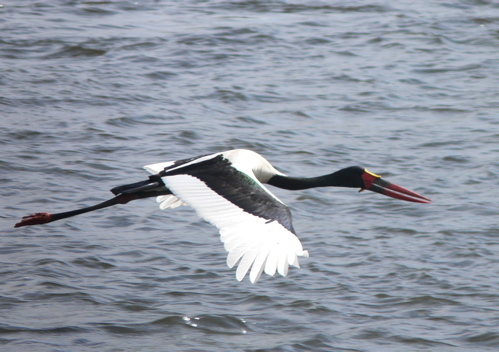 )The saddle-billed stork was discovered by George Shaw in 1800. Shaw is better known for being the first scientist to examine a platypus and The Naturalist's Miscellany in 1799. 2.) The saddle-billed stork is the largest of the African storks! 3.) Saddle-billed storks numbers are greatly decreasing due to pollution and their lack of ability to adapt to a different niche! 4. )The saddle-billed stork was represent by a hieroglyphic. 5.) The saddle-billed stork is one of only two birds in it genus, the other being the black-necked stork, Ephippiorhynchus asiaticus. If you liked the saddle-billed stork check out these other cool organisms! Go back to the Nest!